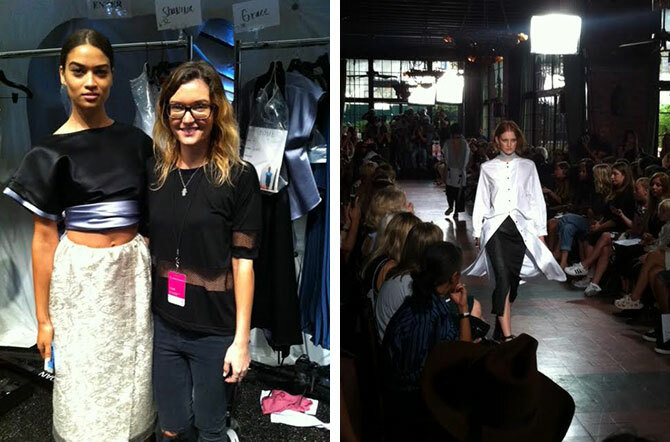 The Fashion Institute arranged for 5 girls to be a part of NYFW 14 - here's Samantha's tale. 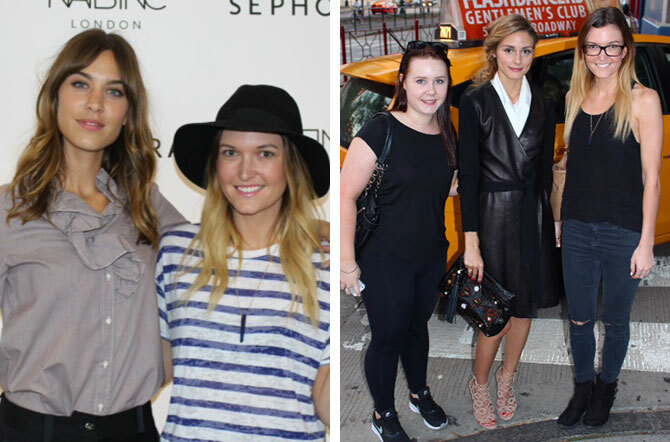 Seeing Olivia Palermo, Alexa Chung and Margaret Zhang would only be possible in magazines, blogs and television for me – until I went to New York during fashion week and got up close and personal with my three style icons. I met Olivia as I was coming from working front of house for Eckhaus Latta show on my way to Chelsea Piers when I saw her standing on the corner. She was so polite and of course elegantly stylish it made me admire her even more. Meeting Alexa has always been a dream of mine, ever since reading her book “IT” and observing our similar interests for effortless, men inspired style, I was infatuated with her. She was funny, down to earth and made me feel at ease, like I had known her for years. I met Margaret while I was in the studio with TOME when she paid a visit to marvel at the collection coming to together. She was so bubbly and naturally chic and stylish, as always. I have always been inspired by Samantha Wills’ success story and ever-glamorous collections. So when the opportunity to work in her New York City studio approached me I jumped at it. I felt right at home as I walked into the office and was welcomed by the familiar Australian accent from her warm and friendly team. The office was surrounded with beautiful hanging paintings, soft white rugs, vintage mirrors and wooden furniture with stunning city views. I was delighted to gain insight into the Brand Management and Production side of the business and hope to one day meet and work directly with Samantha herself. 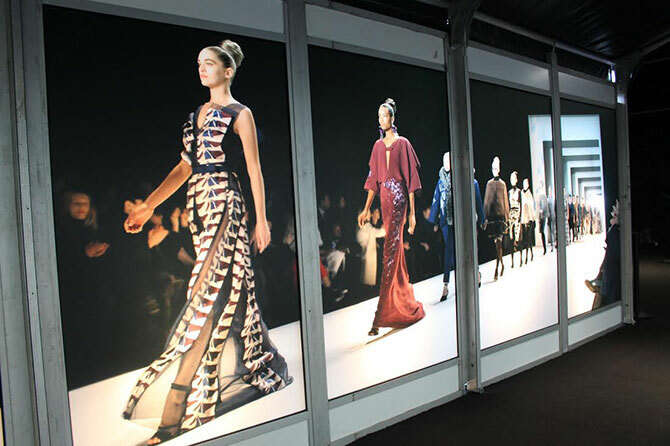 Gaining full access into the Mercedes Benz Fashion Week VIP area with a private tour from IMG was eye opening. Learning how each location caters for different designers and shows and also seeing where the E! Channel holds live broadcasts into the happenings of Fashion Week, was such a great experience. The colours, the shapes, the style. The street style over NYFW was truly captivating and was one of the highlights of my trip, as it allowed me to combine my two passions – photography and fashion. Observing and capturing snaps of high profile bloggers, celebrities, editors, models and trendy locals was such an exhilarating experience. 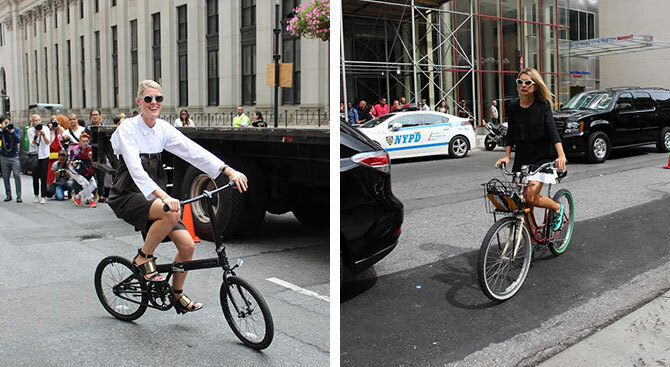 Being amongst the clicking cameras and swarm of paparazzi running down the streets to capture that perfect shot. Here are some of my favourite street style looks before the Jeremy Scott show and Diesel Black Gold show. Australian designers living in New York, Ryan Lobo and Ramon Martin were such a pleasure to work with. To see firsthand how these successful fashion designers work on a day-to-day basis, being included in the styling options and watching the magic come to life was so inspiring. The S/S 15 collection was inspired by the exotic styles of India, with satin pleats, parachute pants and sashes worn across the delicate panels of dresses were the key looks from the show. It was a great feeling working with a team who not only valued my assistance and contribution in the studio but also allowed me to dress and organise models backstage for their S/S 15 MBFW show. It made me so proud and honoured to see the collection come together and know that Tome produced a flawless show. Working with Mode allowed me to gain insight into an area of fashion I hadn’t yet explored - Public Relations. I was thrilled when I was asked to pull looks for Jennifer Lopez’s new music video “Booty” and assist the outfit pull for Taylor Swift to wear to the 2014 MTV VMAs. To be given the responsibility to work on actual client briefs as well as assisting front of house at the Rodebjer S/S 15 show made me feel like a valuable part of the team where I could showcase my skills and contribute my creativeness into styling options and press book management. The atmosphere and excitement on the streets before the fashion shows was like being a part of a personalised performance. Some celebrities would swiftly glide through the crowd at the blink of an eye, making it nearly impossible to catch a glimpse – I was lucky enough to see Woopi Goldberg, Lily Aldridge, Andre Leon Talley and Coco Rocha. While others would pose and interact for the audience us one special show of their own – such as Petra Nemcova, Ana Beatriz Barros, Kristina Bazan, Chiara Ferragni and Anna Dello Russo. I also managed to grab Nicky Hilton for a quick ‘selfie’ after the Jeremy Scott show. Then there was Rita Ora who was escorted from the Diesel Black Gold show by her security crew into her private car. The car was surrounded with fans and media, camera’s flashing, people pushing trying to get close. She then without any hesitation put her tinted window down, autographed photos, apologised she couldn’t stay and looked right at me and gave a big smile for my camera. Fittings and model castings with TOME for their S/S 15 show at MBFW was definitely another highlight of my trip. To be a part of the fast paced action of managing models, dressing, outfit organising, taking Polaroids until early hours of the morning gave me hands on experience into how designers prepare for fashion week. On the second day of castings, after receiving a knock on the office door I was stunned to be greeted by former Victoria Secret Model, Shanina Shaik with bright eyes and a fresh face. She was such a breeze to dress and Polaroid, with her down to earth nature and professional attitude Tome were happy to book her for the show. The last day of fashion week, Marc Jacobs showcased his S/S 15 collection. With high profile fashion editors, journalists and models entering the venue through the overcrowded streets that were patrolled by police, I was eagerly hoping to capture more shots of my icons. I was taken by a huge surprise when I turned my head to have Anna Wintour walk straight in front of me. She was so close we were almost in each other’s personal space. My heart skipped a beat with excited as my camera captured the moment of her cruising past with paparazzi flashes lighting the path in front of her. It was so quick, at the blink of an eye she was up the stairs and into the venue. Working in different fashion sectors such as PR, Styling, Event Management and Brand Management with companies based in NY, not only gave me a vast array of industry connections but it also allowed me to experience what it’s really like to work in one of the fashion capitals of the world. Working on a daily basis in a fast paced environment, long hours, multitasking, proving to industry leaders you are worthy was no doubt hard work, but it gave me the essential knowledge and preparation to know what it’s actually like to live and work in the tough yet rewarding city, so that one day I can continue pursuing my dreams and move there permanently. This experience has taught me hard work, determination and never giving up on your dreams really does pay off. 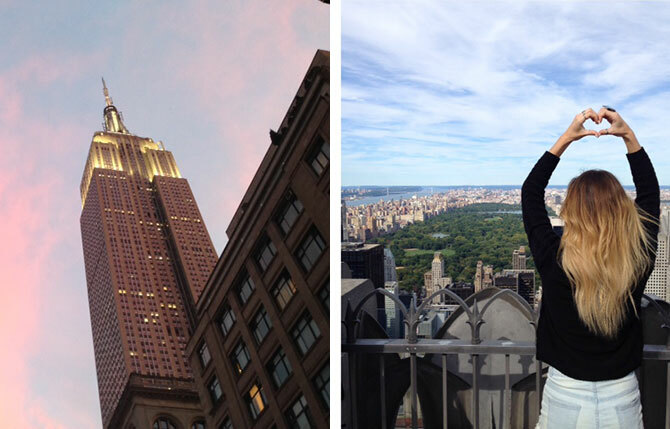 I have fallen even more in love with New York and it will always be known as my home away from home.